In 2005, I was struggling with a toxic marriage that was rapidly destructing, and I was also raising two children whom I tried to shield from the worst of the conflicts between me and their father. As I tried to hold myself together, memories from my past began to resurface. Traumatic memories that I had to deal with at a time when I had no professional or personal support. Some were things I’d never truly forgotten but had just suppressed. Others were things I had completely buried. Someone with whom I’d recently become friends with offered to do a Chios® Energy Healing session with me. I’d never heard of Chios®; at that time, I’d barely heard of Reiki. But I wanted to make my friend happy and I figured it wouldn’t hurt, so I agreed to a session. That session brought up more memories. Ones that, fortunately, my friend supported me in processing. Chios® sessions I had with him did more to help me cope with and work through the trauma I’d experienced in my past than any previous treatment or therapy I’d had. As I got to know more about Chios®, I decided I wanted to learn it. As my friend got to know more about me, he recognized me as a natural healer and agreed to teach me. I was so excited at the prospect of using Chios® to help others that I worked through the modality’s three levels in four months, attaining certification as a Chios® Master Teacher. Chios® Energy Healing is a relatively new healing modality. It was developed by Stephen H. Barrett, who received the basic techniques through higher guidance. Although he trusted the beings who brought the modality to him, Stephen didn’t immediately bring Chios® to public attention. He wanted to ensure that the techniques were safe and effective first. Over the course of the next two decades, he researched, refined, and developed the modality until he felt Chios® was ready to be shared with the world at large. This introduction of Chios® occurred in the early 2000s. Chios® shares some commonalities with other modalities but includes its own techniques. It has techniques for rebalancing and unblocking chakras, clearing blocks and impurities in the energy field, and repairing energetic damage to the chakras and field. Rather than using their own energy, the healer channels universal energy through themselves and into the client, directing it to make the necessary adjustments and repairs to the client’s energy system. One of the more advanced techniques is intended to heal and repair energetic damage from past lives that may be negatively affecting someone in the present. As they develop their practices, and especially if they choose to teach others, Chios® practitioners are encouraged to tend to their own inner growth and healing. Level 1 includes a basic meditation technique which students and practitioners are strongly encouraged to use. In and after Level 3, practitioners learn a more advanced meditation that can improve the effectiveness of their practice and the impact on their clients. Practitioners also learn to assess their own energy system and use Chios® techniques to treat themselves. For me as both a recipient and practitioner, Chios® has been extremely effective. Receiving Chios treatments and using the self-healing techniques, I’ve been able to uncover and address trauma and other issues from my past that were causing pain and even harm in my present. After working with my friend for a while and receiving help from other sources, I was able to end the toxic marriage and bring my children and myself to a better, healthier living situation. Health issues that had been dismissed as “all in your head” or undiagnosable began to lessen and stop affecting my daily life. Unbalanced chakras and energetic damage can have a wide impact on someone’s overall health and life. Someone whose energy system is out of balance or needs repair might feel constant stress or anger. Their ability to relax, focus, or sleep might be compromised. 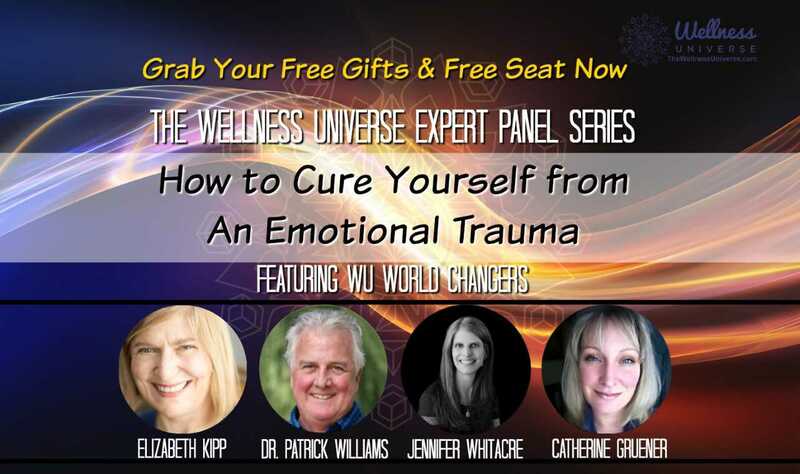 Many suffer from what I call “don’t-feel-well-itis,” a general sense of unwellness or unwholeness that doesn’t have any identifiable physical or mental cause. Physical and emotional pain or illness might also have an energetic basis or component, though I strongly advise people to also seek professional medical or psychological care when needed since energy healing is not intended as a substitute for those things. In my opinion, no treatment or healing modality works for everyone. For me personally, Chios® has done a great deal, while other modalities have had little or no noticeable effect. Students I’ve taught and some of the clients I’ve treated have told me that while other modalities didn’t quite “click” for them or felt like something was missing, Chios® completely resonated and felt aligned. Because Chios® is a newer modality, there are only a few hundred Certified Chios® Master Teachers in the world, and many people who might benefit from Chios® sessions have never heard of it. I’m always happy to share information about, and my experiences with, Chios® with others; and I love treating and teaching others, so I welcome questions! Previous articleDo Children Get Anxiety or Just Experiencing Emotions?